I’ve been part of LinkedIn since 2005 before it was considered one of the major Social Media networks. All this time I’ve seen LinkedIn grow, but it always remained a job-centric network. 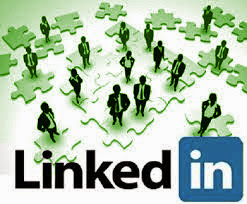 Business opportunities were on the other networks; LinkedIn had little to offer to businesses besides posting jobs or make connections to your peers. Seeing the rapid growth of the other social networks around them, LinkedIn started changing it is the focus to be more business-centric. Little by little, they began adding new features such as LinkedIn Groups. These Groups are a great place to showcase your passion and expertise, and although they have a lot of spam, you can still have a meaningful conversation with their members. LinkedIn Groups are always a great place for asking advice, sharing business ideas and engaging with your potential leads. For me, LinkedIn Groups are the best this network can offer, until they release the publishing platform to all their members. I know LinkedIn company pages is a useful feature, but they don’t have the popularity that Facebook Pages have. Although they are an excellent way to showcase your business in the network, they don’t create the same engagement as Groups or LinkedIn publishing. For me, the publishing platform is a game changer, once only available to the few influencers (well know business people) now is open to everyone (my small collection: https://www.linkedin.com/today/author/1535644). This publishing platform is your LinkedIn blog with all your published articles accessible to the public outside LinkedIn. The best part is that if your story is good enough (lots of interactions,) it can be part of Pulse; LinkedIn's magazine feature. Pulse has an excellent reach amongst LinkedIn users, and neither Facebook nor Tweeter has something like this. As a matter of fact, Facebook has admitted that they are dwindling down the organic reach for its Pages. If your business is B2B (business to business), your social marketing efforts should concentrate on LinkedIn. Focusing on LinkedIn doesn’t mean you should ignore the other networks as the expectation for all businesses is to have an active presence in all popular networks (LinkedIn, Facebook, Twitter and Google+).